Philips HeartStart FR3 AED - includes five year warranty, adult electrodes, battery, and instruction manual. 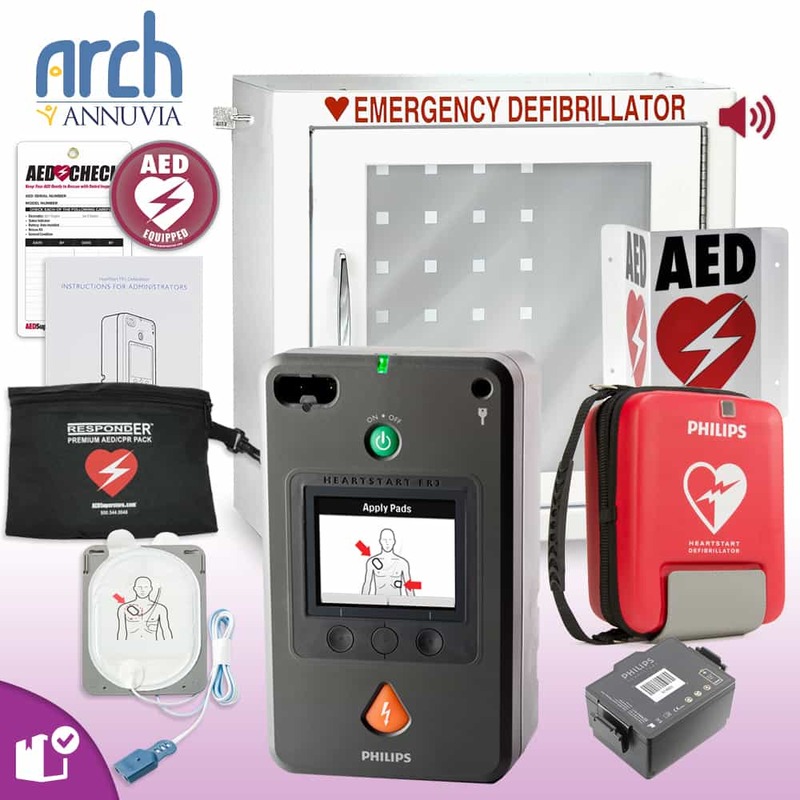 Semi-Rigid Carrying Case - protect your investment - includes viewing window for checking the AED's status indicator. 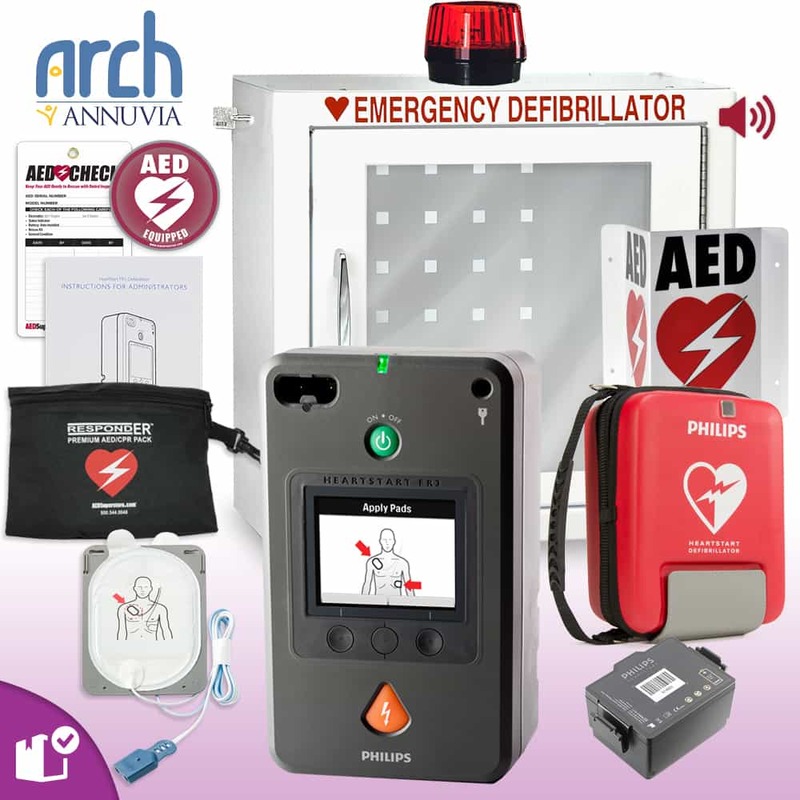 SMART Pads III Defibrillation Electrode Pads - Keep and extra set on hand, just in case.